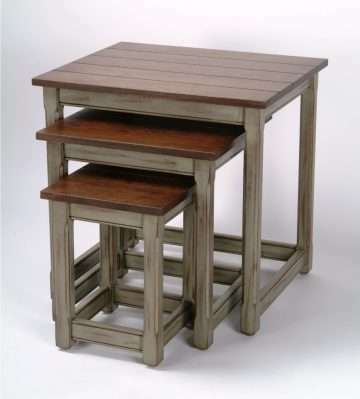 Features set of 3 nesting tables with plank-style tops. There is no bottom stretcher bar on one side of large and medium tables so that the tables are able to nest. Ships in 1 corrugated carton (38 lbs) on 1 wooden pallet (50 lbs).